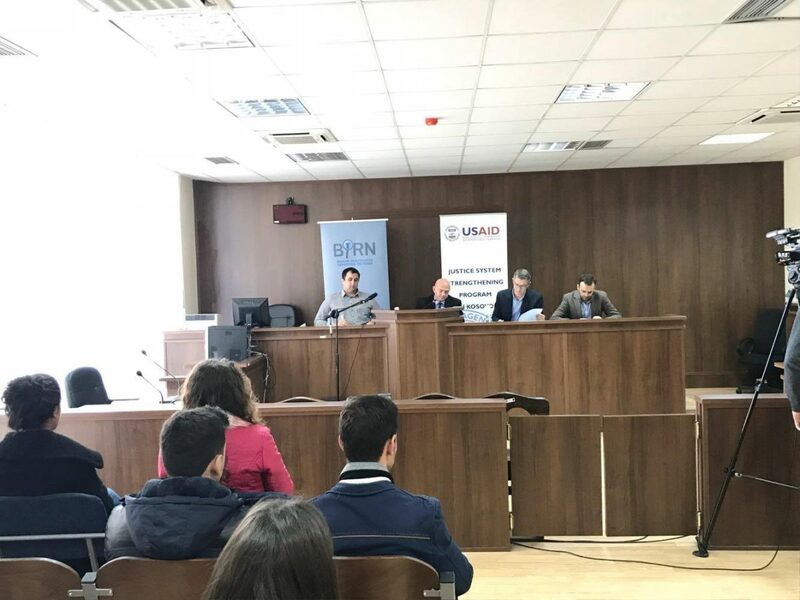 On November 24, 2017, BIRN Kosovo held another debate within the “Promoting Transparency in Kosovo’s Judicial System” project, supported by USAID’s Justice System Strengthening Program, JSSP, at the Gjilan Basic Court. During the discussion, moderated by BIRN Kosovo’s Chief Editor Kreshnik Gashi, the panelists provided lectures to law students on attending court hearings and accessing court record information. The panelists also briefed the students on the rules and regulations regarding photographing, broadcasting, and recording within a court hearing; moreover, they specifically mentioned that such actions may be fully permitted in a manner that ensures that the fairness and dignity of the proceedings are not adversely affected. Additionally, panelists and students discussed public participation within court proceedings related to divorce, child custody, property disputes, inheritance, labor disputes, and financial disputes. For instance, according to the panelists, if a case involves certain claims of physical or sexual abuse, the judge has the right to decide on making the case private. Additionally, judges have the authority to restrict public participation, if, for instance, confidentiality is deemed significant. 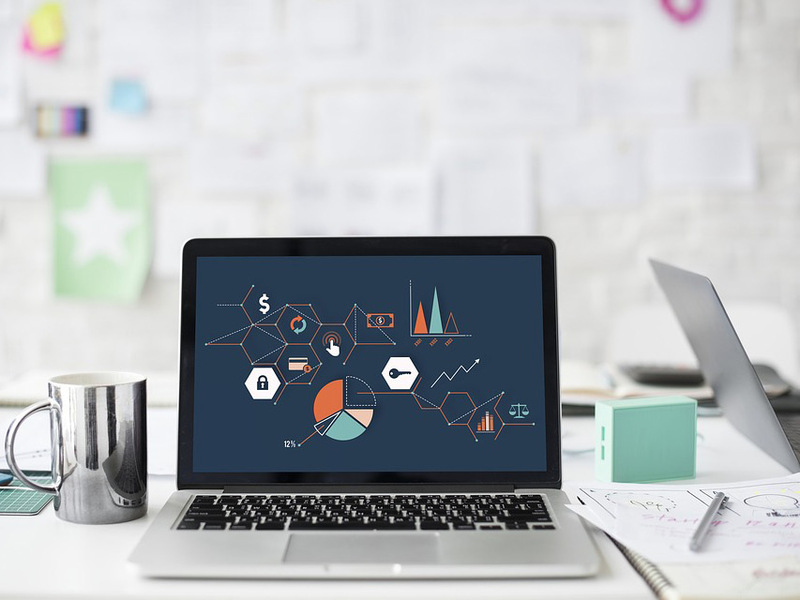 Nevertheless, public participation is allowed during a divorce trial, unless any particular reasons requiring confidentiality are outlined in advance. Last but not least, students learned that courts are also authorized to limit what may be reported in order to protect the welfare of families and children. BIRN Kosovo, under the “Increasing Transparecy in Kosovo’s Judicial System” Project, supported by USAID’s JSSP, will continue to conduct debates of similar nature in the coming months. Dragash, also known as Sharri, is a municipality associated with natural beauty that could be used for mountainous tourism development. Thus far, the municipality has invested very little in this sector. This municipality, with a budget worth 6.2 million euros, invests most of its budget on salaries, goods, and services, while only 1.3 million euros are allocated for capital investments. In 2016, the municipality realized revenues generated worth 131 thousand euros, which is very low compared to other municipalities. The first thing that catches your eye when you enter the municipality is the waste landfills close to rivers. An investigation by KALLXO.com reveals that there is a severe environmental situation in the mountainous zone in Dragash, considering that both waste and sewage are actually poured into rivers. Rivers that pass through the villages of Bellobrad, Rapçë, and Bresanë are transformed into waste deposits. 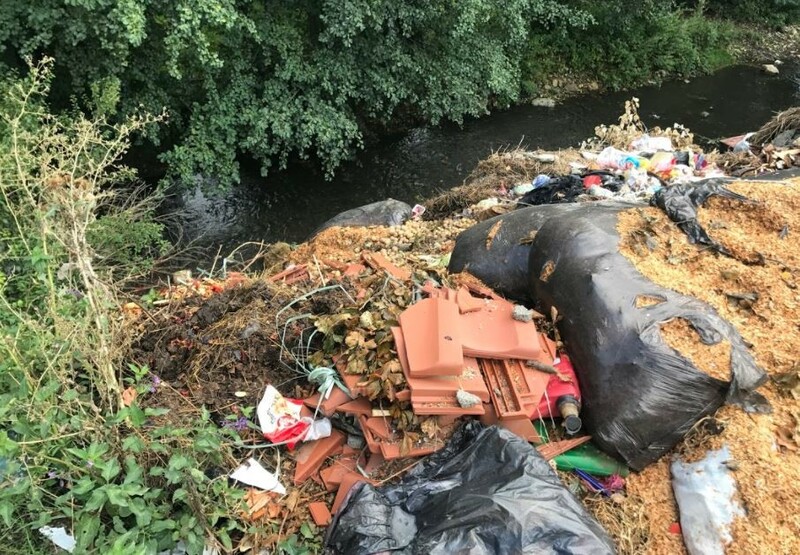 According to the residents of the abovementioned villages, some of the residents throw the waste themselves, and they call on the municipality to engage inspectors to punish irresponsible citizens. In the village of Brezne, the sewage ends up in the middle of the village, in the private trash collectors built by the families themselves. Sewage is the main problem within the town, considering that during the rainy days, the sewage flows into the middle of the road. Dragash has water supply issues, although the municipality has plenty of water resources across the Sharri Mountains. Most of the villages are equipped with a water supply network, but are supplied with water for only two to three hours during the day. Many villages do not even use the water for drinking due to its dirtiness, and are forced to get water from different resources. The Auditor has revealed that only 78 per cent of the budget for capital investments is spent, considering that the project of the main Supplier, initially projected to be worth 500,000 euros, was not realized due to the Procurement Review Body’s complaints. The municipality of Dragash is located at the border between the two Opoja and Gora villages. Different languages are spoken in these areas, as Opoja has an Albanian majority and Gora has a Gorani majority. There are political and infrastructural issues in the education sector. Based on KALLXO.com’s investigation, there are schools within this municipality that use parallel curriculums. Serbian parallel structures continue to be present within the Municipality of Dragash, where the lectures are delivered in Serbian, and in accordance with the Serbian government’s curriculum. Additionally, in several villages, lessons are conducted up to the fifth year, and as such, students from their sixth year up to their ninth year are forced to walk up to six kilometers per day in order to attend classes in the closest school. These problems were identified by KALLXO.com in the villages of Zaplluxhë, Zym and Brezne, where children walk on roads with no sidewalks; these mountainous zones are even more dangerous due the presence of vehicles and stray dogs. On the other hand, in Dragash, the students attend classes in the old Ruzhdi Berisha gymnasium, since the new school building is not functional, eight years after construction works began. Road reparation in Dragash remains another issue of the municipality, considering that roads are not repaired in a timely manner. KALLXO.com has reported on the pine trees planted by the residents in asphalt pits as a creative way to convey messages to the relevant authorities to close the dangerous pits. The only gynecologist who was working in Dragash has now retired. Meanwhile, this municipality has a high level of unemployment, and residents of the villages are leaving. Out of 1,530 inhabitants, only 300 reside currently in the village of Rapçë, which has a Gorani majority. According to the residents, the village’s youth travelled to European Union countries to find jobs due the poverty within their hometown. In this village, there are also residents who live in severe living conditions. The current mayor of the country is Selim Jonuzaj, from PDK, while mayoral candidates for the October 22 municipal elections are Admir Šola from Jedinstvena Goranska, Fatmir Halili from Nisma, Samidin Dauti from Vetevendosje, Selami Saiti from AAK, Šerif Aga from Koalicija Vakat, Selim Kryeziu from LDK, and Shaban Shabani from PDK. Apart from not having communication officials, this municipality also has no women directors and no women mayoral candidates. BIRN Consultancy has begun producing a new bi-monthly political, security and socio-economic review of regional developments in cooperation with Friedrich Ebert Stiftung. As part of its new partnership with Friedrich Ebert Stiftung South East Europe, BIRN Consultancy will be producing the Political Trends and Dynamics Overview which will form a core part of FES SOE’s bi-monthly publication “Political Trends and Dynamics in South East Europe”. The publication will provide an overview of current political, security, economic and societal developments in the wider region of South-East Europe, with a particular focus on how they could contribute to conflict. The February/March issue of the publication in its new format can be accessed here: During the first month, the new issue was downloaded more than 3,000 times. 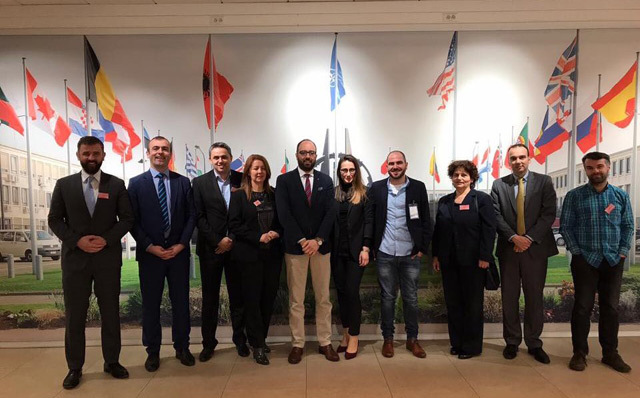 Denis Dzidic, editor of the Balkan Investigative Reporting Network in Bosnia and Herzegovina, BIRN BiH, joined a visit by the International Republican Institute, IRI, to NATO headquarters in Brussels, Belgium. He took part in a meeting titled: “Understanding and Preventing Violent Extremism and Foreign Influence,” which took place on April 20 and 21. At numerous other meetings, participants discussed a number of security topics, among which Communication Challenges in Euro-Atlantic Integration and Public Diplomacy Cooperation with Bosnia and Herzegovina were the most important for BIRN BiH. Dzidic also presented work that BIRN BiH has done on monitoring court proceedings for terrorism in Bosnia in relation to people who have gone to fight for ISIS in Syria and Iraq. Some of the findings related to research that BIRN BiH has done in relation to religious radicalization. BIRN in Bosnia and Herzegovina has published an analysis of the implementation of the State Strategy for Justice Reform between 2014 and 2018, which shows that serious delays have blighted the processes. According to BIRN BiH’s analysis, delays marked the State Strategy for Justice reform from the start. The document was only adopted 20 months after the original deadline passed, in September 2015, under international pressure. The Action Plan to implement the Strategy was only adopted 17 months later, in February this year. Containing 40 pages and hundreds of measures, a handful have been fulfilled. “Successes have been marked in regard to the implementation of the law on free legal aid, and enhancement of the system for plea agreement,” BIRN BiH editor Erna Mackic said. The analysis shows that the creation of the Appeals Court remains a stumbling block because representatives of the judiciary and political parties cannot agree on its proposed jurisdiction. Considering that this issue is currently in the EU-led Structured dialogue on justice, and that the issue of the Constitutional Court and the HJPC laws are likely to follow, the creation of the Appeals Court is causing delays in reforms, the analysis shows. “Lack of political will to reform the justice sector is visible through delays in the adoption of the Strategy and Action plan but also in the issue of the Appeals Court. It is important to add that many of the measures in the Strategy depend on financial support, which is currently not adequate,” BIRN BiH editor Denis Dzidic said. The analysis of the Strategy for Justice Reform between 2014 and 2018 was carried out with the support of the US embassy in Sarajevo and presented in the American Corner in Sarajevo, with officials from judicial institutions, domestic and international organizations and the media present. Two BIRN stories won this year’s Investigative awards from the Independent Journalistic Association of Serbia in the categories for print and on-line media. “Secret of Vucic’s tavern” won the award in the print media category. BIRN Serbia journalist Jelena Veljkovic wrote on how Serbia’s Property Directorate claimed not to know that an exclusive restaurant had been opened in a part of the Belgrade Cooperative building, which the directorate had leased to the “Belgrade on water” company, refusing to answer whether it believed this use of public property was in accordance with the law. A story by a group of journalists from BIRN and OCCRP, “Making a Killing: The 1.2 Billion Euro Arms Pipeline to Middle East”, meanwhile won the award in the online media category, along with a colleague from the Center for Investigative Journalism, CINS, whose story showed that the Governor of the National bank of Serbia plagiarized a significant part of her doctoral thesis. The BIRN arms investigation revealed how thousands of assault rifles, mortar shells, rocket launchers, anti-tank weapons, and heavy machine guns have poured into the Middle East from Bosnia, Bulgaria, Croatia, the Czech Republic, Montenegro, Romania, Serbia and Slovakia. The same story is also among three finalists for the Czech Journalism Prize, the best-known Czech media award. 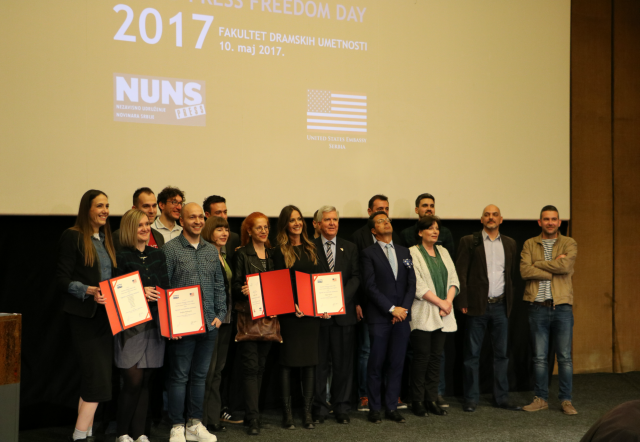 On May 5th, 2017, BIRN Kosovo’s television programme Jeta ne Kosove and the anti-corruption platform KALLXO.com were awarded with second place for investigative journalism by the European Union Office in Kosovo. 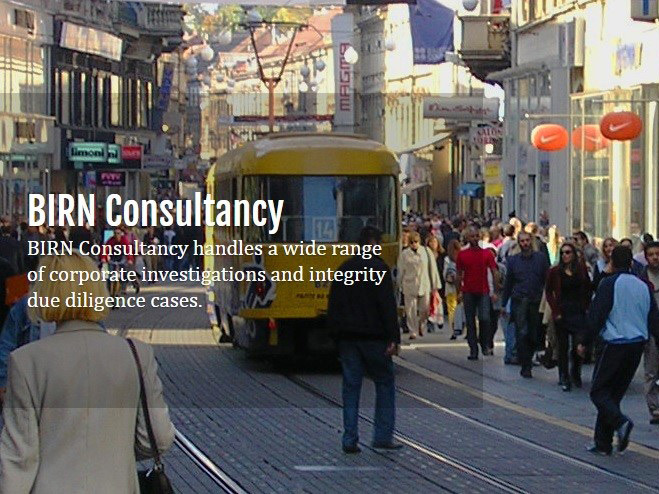 The investigation that appealed to the five-member jury was “Organized Tax Fraud,” which revealed that over 300 Kosovo businesses were involved in a tax evasion scheme through the use of shell companies. The three-part, 11-month investigation also revealed that the state prosecutor went after the shell companies, which had homeless and poverty-stricken people listed as owners, instead of the actual companies that benefitted from the scheme. After the affair was reported to the state prosecutor, he decided not to go after the businesses that were involved in tax evasion, and instead went after the vulnerable owners of the shell companies, who were unaware of the situation they were involved in. Accepting the prize, Faik Ispahiu, the show’s producer and director of KALLXO.com, said that to this day the same prosecutor was handling the case, and instead of being punished, he was being rewarded with a trip to the US. The results of the investigation, Ispahiu said, are still ongoing. 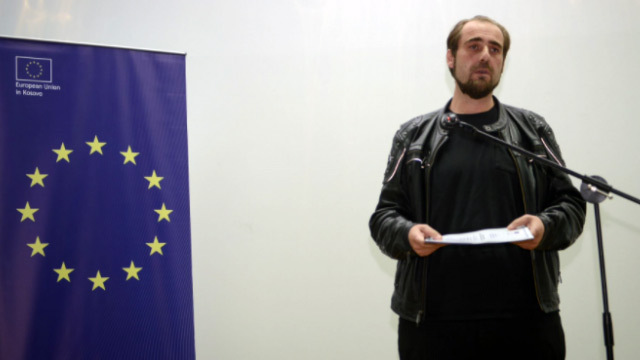 This is the second time that Jeta ne Kosove has been awarded with a prize for investigative journalism by the European Union, after receiving an earlier award for the investigation into the “Stents Affair.” During the ceremony, Luigi Brusa, Head of Cooperation Section of the EU office, said that his organization is pleased to support people who support the principles of the European Union. On April 28th, BIRN Kosovo delightfully ended the month of April by hosting two important diplomatic figures in Kosovo, the current U.S Ambassador to Kosovo, Greg Delawie, and Atifete Jahjaga, who served as the fourth president of Kosovo. 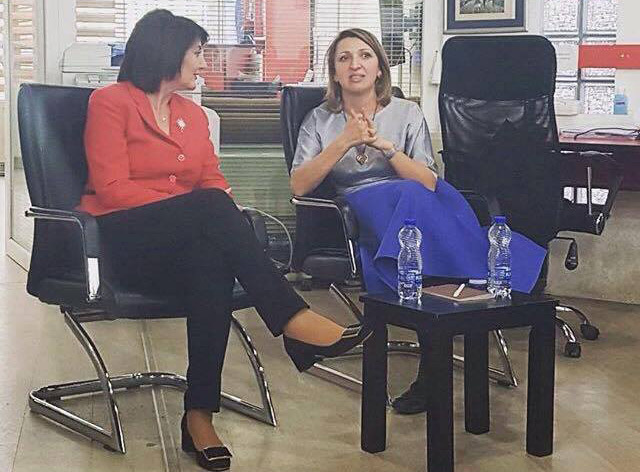 In their separate discussions at the BIRN Kosovo office, Delawie and Jahjaga each emphasized that producing in-depth analytical and investigative journalism on complex political, economic and social issues in Kosovo is an absolute necessity. They declared their appreciation for BIRN’s commitment to fighting endemic corruptive behavior in the country. They also applauded BIRN’s success in conducting the annual report on the monitoring of Kosovo’s courts, in which BIRN Kosovo and Internews Kosova monitors tackled challenges and shortcomings in the justice system. U.S. Ambassador Delawie expressed his concerns about the imbalanced judicial system in Kosovo, emphasizing the need to combat the partiality and injustices within the system. He went on to congratulate BIRN’s efforts to continuously conduct analysis on corruption within the judicial system in order to assess its performance in respecting legislation and adhering to work ethics and procedural regulations. 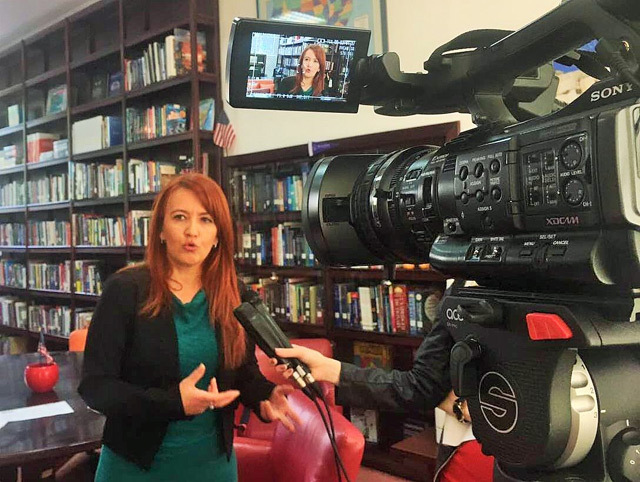 The Ambassador said that BIRN Kosovo, by producing top-quality, timely, and relevant coverage, is a trendsetter in Kosovo’s media landscape. Similarly, Jahjaga voiced her concern that Kosovo’s justice institutions infrequently address high-profile corruption cases and instead focus on processing petty corruptive cases, for which soft sentences are often delivered. She congratulated BIRN’s efforts to focus on the treatment of corruption charges, analyzing the problems and obstacles faced in the war against corruption. Jahjaga, the first woman to be president in Kosovo, said that though she is keeping her options open regarding her future plans, there is one particular issue she is certain about: she will continue to work for the survivors of wartime sexual violence, which during her five-year mandate remained one of her main priorities. On May 8th, 2017, BIRN and Internews Kosova marked a decade of monitoring Kosovo’s judicial system with the launch of the 2016 Court Monitoring Report. This project has been implemented for ten years now, and each year it has provided an overview of the situation in Kosovo’s justice system and has offered recommendations on how to increase transparency and accountability at all levels of the system. This year’s report reflects the monitoring of 600 court hearings across 26 courts in the country throughout 2016, including basic courts, the Supreme Court, and the Court of Appeal. Panel participants included BIRN Kosovo Director Jeta Xharra, Internews Kosova Executive Director Faik Ispahiu, Chief Prosecutor Aleksandër Lumezi, as well as representatives from the Supreme Court, the Prosecutorial Council, and the Judicial Council. 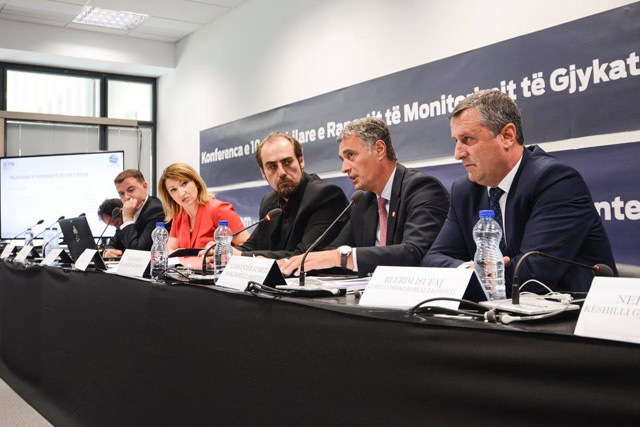 The author of the report, Petrit Kryeziu, summarized the report’s main findings, including delays on filing criminal charges from the police and the prosecution, failures to justify decisions on pre-detention, and flaws in the strategy for detaining suspects awaiting trial. One of the report’s general recommendations is that Kosovo courts need to work harder on improving the way they treat pre-detention cases. Another recommendation is that the Ministry of Justice needs to consider strengthening the option for alternative sentences, such as referring appropriate cases to mediation. The report also revealed concrete examples of procedural violations in the judicial system during 2016. These violations included cases in which the defendant’s right to be informed in the native language was denied, unnecessary postponements of court hearings, and lack of court order during trials. Internews Kosova’s Executive Director Faik Ispahiu expressed gratitude to the entire team who contributed to the making of this project and emphasized that there have been over 50 monitors who worked on this project, some of which are now prosecutors, judges and lawyers. BIRN Kosovo’s Director Jeta Xharra added that despite the fact that the findings indicate room for courts to increase transparency, the ten-year collaboration shows that there is no rivalry between monitors and employees within the justice system. Kosovo’s Chief Prosecutor Aleksandër Lumezi stated that he appreciates the findings and recommendations of the report and expressed his readiness to cooperate with the media. He emphasized that the flaws in the system will be improved upon and organized crime and corruption will be properly fought only through cooperation. Please, click here to download report.